New this year are two weekends to choose from; December 1 & 2nd, and 7th, 8th & 9th, 2018. 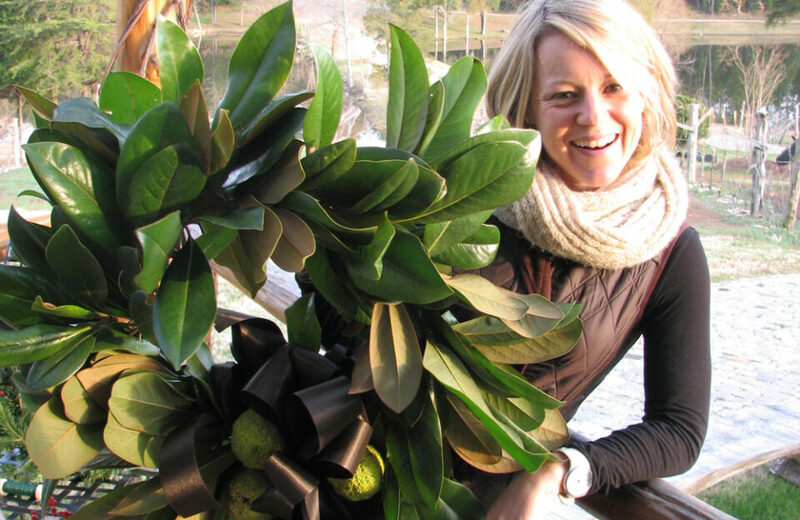 We are really excited to welcome the floral designers and staff of M Henry Design. They will be on hand to offer creative hints and production support to make sure everyone who creates and designs a wreath, leaves with a holiday favorite. Get yourself and your friends and family in the holiday spirit. 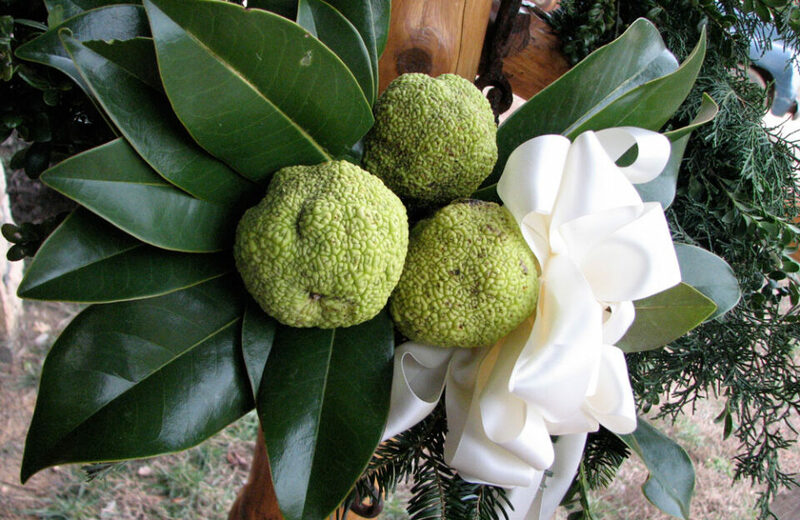 Join us at the beautiful and bucolic setting of Rassawek to create a fresh holiday wreath for display in your home or office, or as a gift. 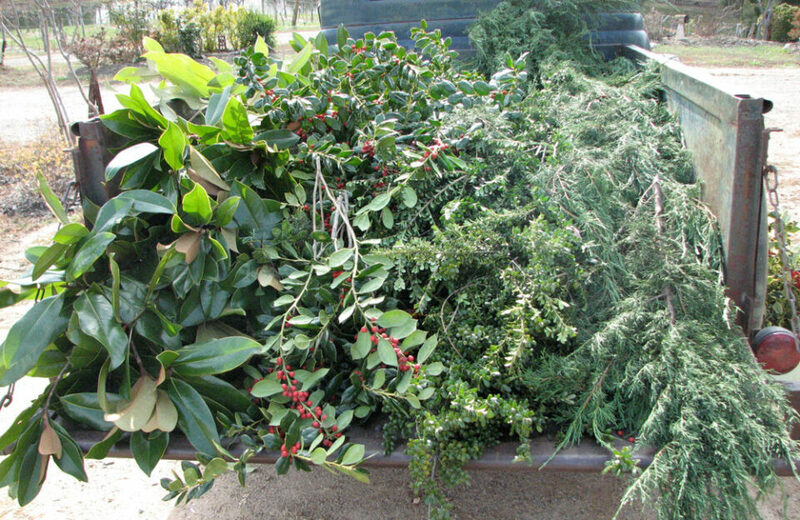 A variety of locally sourced fresh greens will be offered to a fill wreath frame. 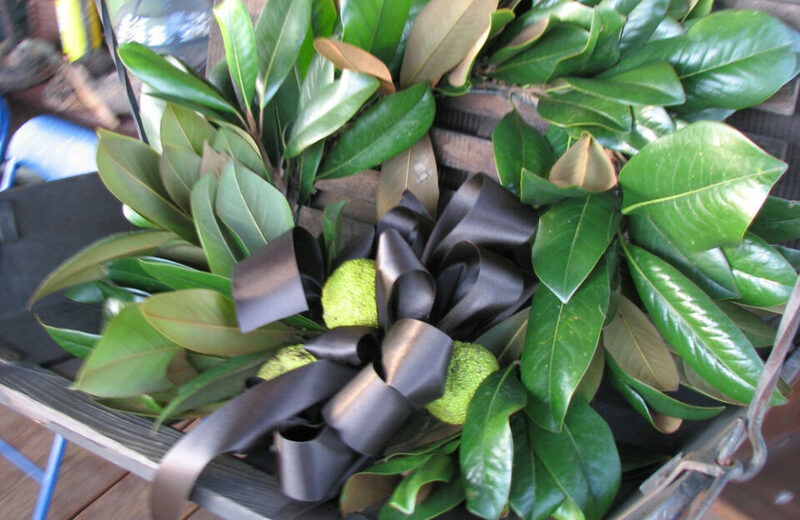 Workshop materials include wreath frame, fresh greens, cones, and assorted natural decorations. Attendees are encouraged to bring unusual greens or their favorite ornaments and bows. 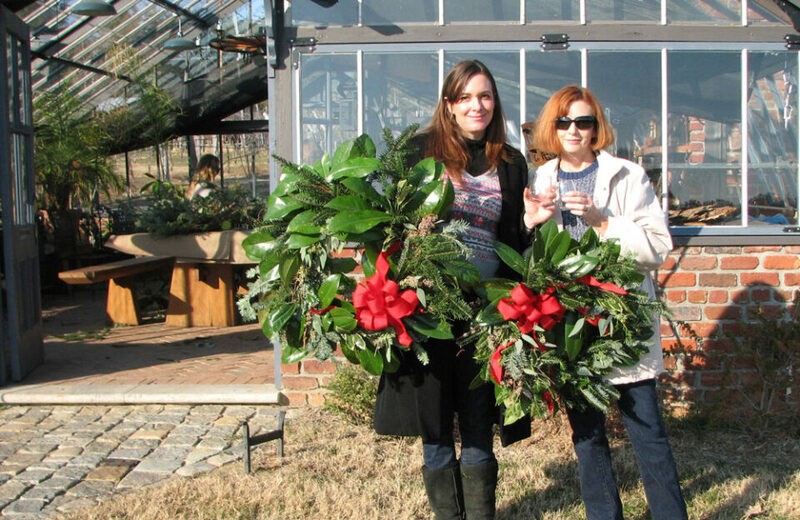 Wine & Wreath takes place in and around the historic Cherokee log cabin and greenhouse. We will offer warm cider and light holiday fare. Enjoy samples of savory wines from our neighbors Elk Island Winery. Please, bring hand clippers and gloves. New this year, we can offer groups of 25 or more an option to hold a wreath making event at a date and time other than the Wine Wreath events. This is a wonderful way for corporate staff, businesses, religious and community organizations, or social groups to share in a celebration of the season and take home a special wreath with a personal touch. For inquires about large groups contact Catherine at fleischmancatherine@gmail.com.